I have added yet another 2-6-4T this time one is repainted as GWR. Its a fictitious livery but looks great and Wrenn did make one. The other loco is a Graham Farish into which I have inserted a HD 0-6-0T chassis which of course is converted to three rail. The chassis needed a bit of hacksawing to get it in the body but then fits well. I still have the original chassis but will need to replace the plastic sprocket which has literally worn away – common with these locos. 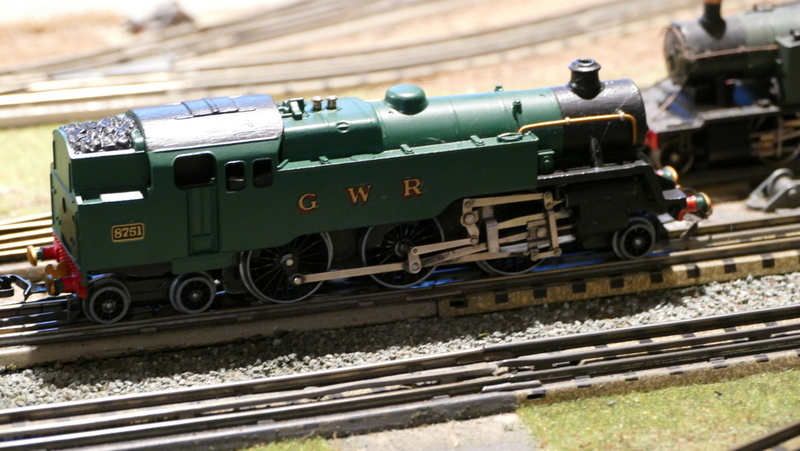 The GWR loco in the background is a small Prairie tank made by Lima which I have had for some time.